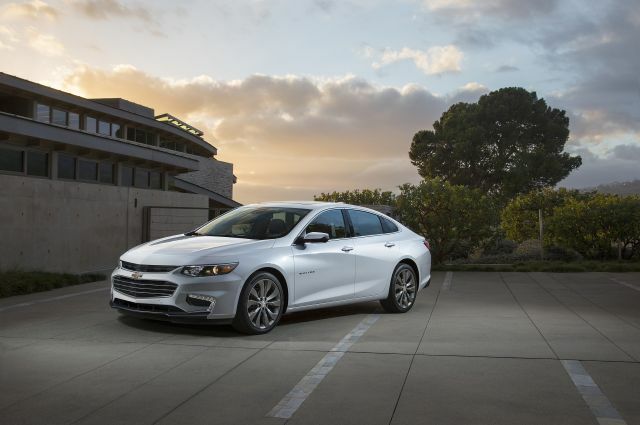 What changes will make the 2017 Chevrolet Malibu different? None, if any, since it’ll be in only its second season after a stem-to-stern model-year 2016 redesign. A new color choice or two and the remote possibility of some minor equipment shuffling are apt to account for any updates to a car that’s finally recaptured some classic Malibu mojo. 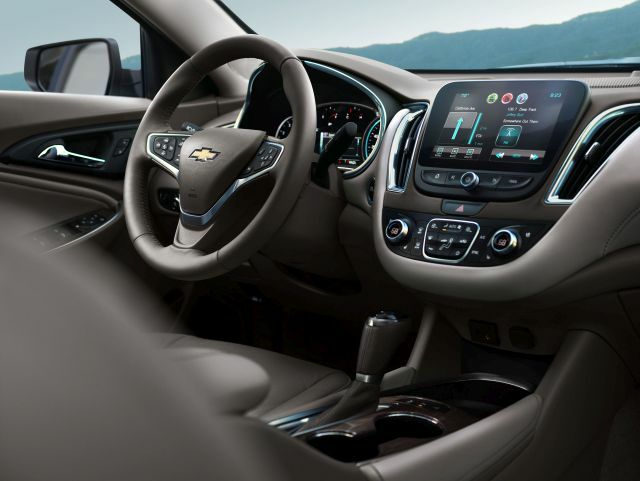 The ’16 redesign replaced more than a decade’s worth of dull-looking and duller-driving sedans with a sleeker, roomier, more sophisticated car that recalls Malibu’s days as a midsize-segment benchmark. The ’17 will repeat with a choice of two turbocharged four-cylinder engines and a gas-electric hybrid that’ll be among the most fuel-efficient cars in the class. Why should I wait for the 2017? If you like the ’16, there’s little incentive to wait for the ’17. The automaker may see an opportunity to correct a small detail or two based on early-buyer feedback. But there’s little chance any changes would be compelling enough to overcome almost-certain model-year price escalation. And waiting won’t get you a car that’ll look or perform differently. Should I buy a 2016 model instead? Yes, to start your experience with the all-new version of this five-seater. The styling won’t change until a midcycle refresh around model-year 2020 or so. Even then, the mechanical specifications introduced with the redesign probably won’t be altered drastically. And the ’16 model lineup should repeat for 2017. That means an entry-level L version, better-equipped LS, and volume-selling 1LT versions, all with a 1.5-liter turbocharged four-cylinder engine. Also returning will be 2LT and top-line Premier models with a turbocharged 2.0-liter four. Slotting between the 2LT and Premium, the Hybrid will again pair a four-cylinder engine with battery-electric power. All will continue with front-wheel drive. No. It’ll reprise the handsomely sculpted shape unveiled with the 2016 redesigned. 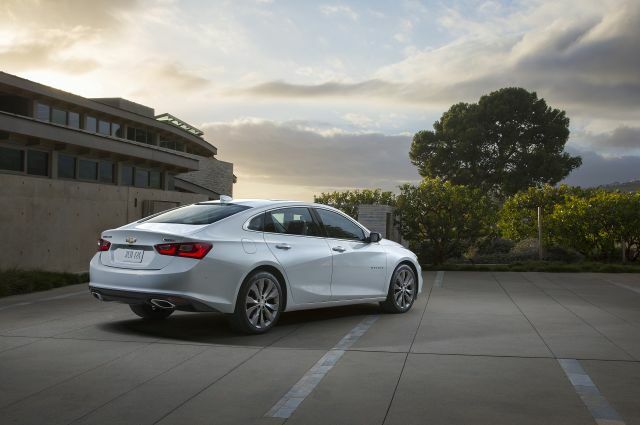 Malibu looks like a scaled-down version of Chevy’s full-size Impala sedan, yet is among the largest cars in the midsize class. The redesign lengthened the wheelbase – the distance between front and rear axles and a key determinate of interior legroom – by a substantive 3.6 inches. That brought a much needed expansion of rear-seat knee and foot space. The body itself is longer than the outgoing car’s by 2.3 inches, but no wider. The new styling employs a low roofline that looks dramatic but contributes to a slightly closed-in feel compared to airier rivals such as the Toyota Camry and Honda Accord. Also returning for ’17 will be the latest-generation dashboard, which like the cabin overall, is practical and functional, despite suffering an excess of intersecting shapes. Expect leather upholstery to return as optional on LT and Hybrid models and standard on the Premier. No. Malibu will remain among the midsize cars relying solely on four-cylinder engines. Furnishing acceleration sufficient for family-car duty, the 1.5-liter will return with 162 horsepower and 184 pound-feet of torque and link to a six-speed automatic transmission. Malibu’s alternative to V-6s offered in such competitors as the Accord, Camry, and Nissan Altima, the 2.0-liter in the 2LT and Premier will repeat at 250 horsepower and 258 pound-feet of torque. It’ll again link to an eight-speed automatic transmission and should continue to provide a notable performance boost over the 1.5-liter, even if it can’t match the overall performance of the rivals’ sixes. The Hybrid bridges the two, with a net 182 horsepower from a naturally aspirated 1.8-liter engine assisted by a two-motor electric-drive unit. This is not a plug-in hybrid, relying instead on regenerative braking to charge its onboard lithium-ion battery pack. It can, however, drive for brief periods and reach 55 mph on electricity alone. The 2016 ratings should stand pat, keeping the ’17 Malibu among the more fuel-efficient midsize cars overall and maintaining the Hybrid as a mileage star. The good economy story is due in large part to impressive weight-saving measures that make this latest Malibu the lightest car overall in its competitive set. Look for models with the 1.5-liter to again rate 27/3//32 mpg city/highway/combined. This engine has fuel-saving stop/start, automatically shutting down when the car is stopped and restarting when the driver releases the brake pedal. Models with the 2.0-liter should repeat at 21/30/24 mpg; Chevy recommends premium-octane gas for best performance and economy with this engine. EPA ratings for the Hybrid had not been announced in time for this report, but the automaker’s estimate is a laudable 48/45/47 mpg city/highway/combined. That would put it ahead of hybrid versions of the Ford Fusion, Hyundai Sonata, Kia Optima, and Toyota Camry. Unlikely, considering the extensive roster of safety, comfort, and convenience items accompanying the ’16 redesign. Even the entry-level L will return with standard cruise control, keyless entry and pushbutton ignition, split/folding rear seatbacks, and GM’s underrated OnStar assistance system. LS, LT, and Hybrid models will again include a 7-inch dashboard touchscreen featuring Apple CarPlay and Android Auto capability. Remaining standard on Premier and available on LT and Hybrid models will again be an 8-inch screen with embedded navigation. Again available on the LS and standard on LT and Premier will be on GM’s 4G LTE in-car connectivity with WiFi hotspot. Expect wireless phone charging to remain available on LT and Hybrid models and standard on Premier. Premier should again be the only model with cooled front seats. A sunroof will again be available on LT and Premier and all but the L will come with a rearview camera. LT versions will repeat with LED daytime running lamps and 8-way power front seats. Standard or optional, depending on model, will again be automatic lane-wander steering correction, autonomous frontal-collision-mitigating braking with vehicle and pedestrian recognition, adaptive cruise control, and hands-free automatic parallel or perpendicular parking assist. Also making an encore will be Chevy’s Teen Driver system. It mutes audio and mobile-device connectivity if front-seat occupants aren’t wearing their safety belts and records maximum speed, distance driven, and engagement of active safety features for later review by parents. How will 2017 prices be different? They’ll probably rise slightly but remain competitive with key rivals. Expect the L model to start around $22,800 and the LS around $24,300. The most popular version, the 1LT, should be priced from about $26,200. Combining to accounting for some 20 percent of sales, the 2LT and Premier should be priced from around $29,800 and $32,100, respectively. Look for the Hybrid to again attract some 10 percent of Malibu buyers and to begin around $31,000. Note that all these estimated base prices include the manufacturer’s destination fee; it was $875 for the 2016 Malibu. Expect an autumn 2016 release. More affordable access to the Hybrid via addition of a lower-trim model. Eco-conscious buyers on a budget should be able to spend for the Hybrid’s high mileage and reduced emissions without having to spring for some of the upscale but nonessential features that come with a model priced and positioned as the second most expensive model in the lineup.